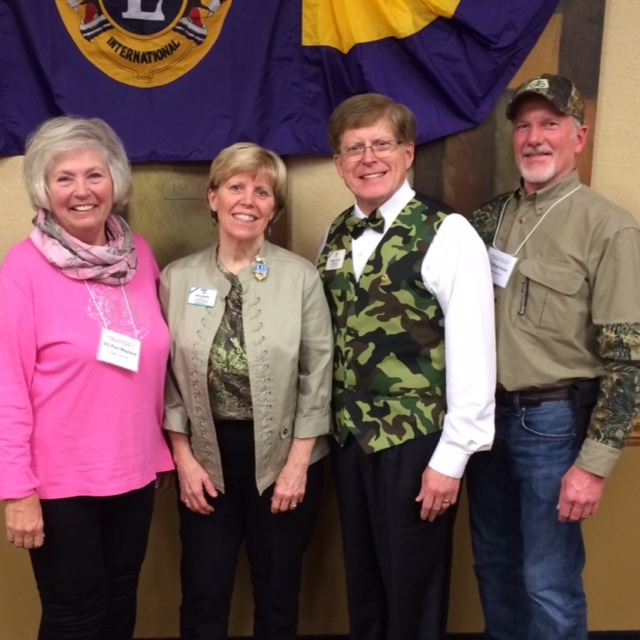 The midwinter convention for Nebraska Lions District 38 L & I was held in Kearney, Nebraska on March 11-12, 2016. 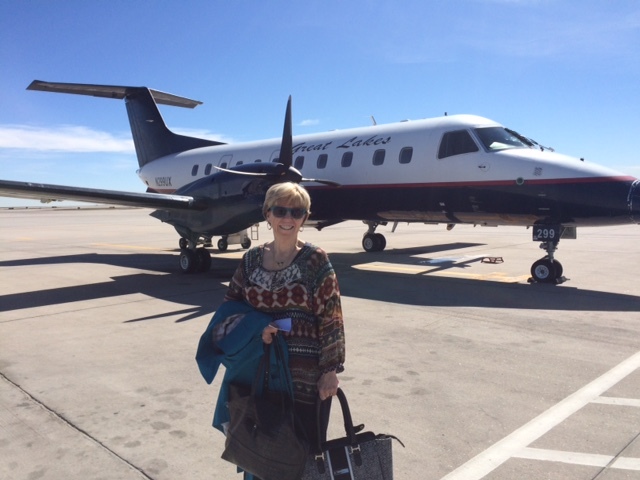 Lion Kathy prepares to catch the plane in Denver headed for Kearney. District 38-L Governor Brad Keller and District 38-I Governor Pam Maynard did a splendid job of hosting and planning for the convention. 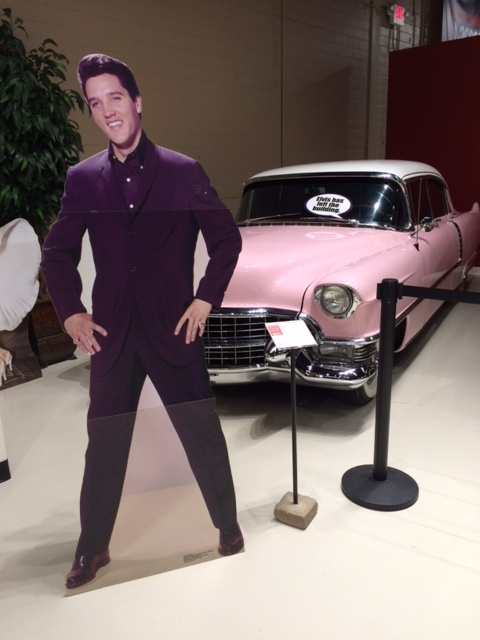 The theme was “Cars, Cranes, and Coyotes” and these concepts provided the glue that held the convention together and provided for an entertaining and educational event. 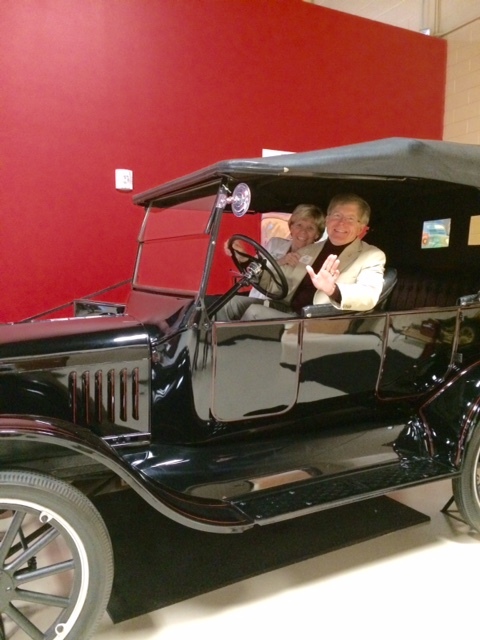 We began the event with the indoor classic car tour at the Classic Car Collection located adjacent to Cabela’s. 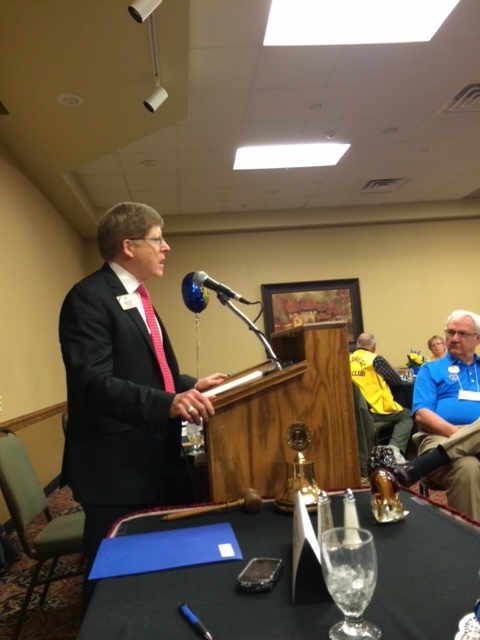 On Saturday, the convention officially kicked off with cabinet meetings for both districts, followed by a training session on vision screening conducted by PDG Steve Bennett. 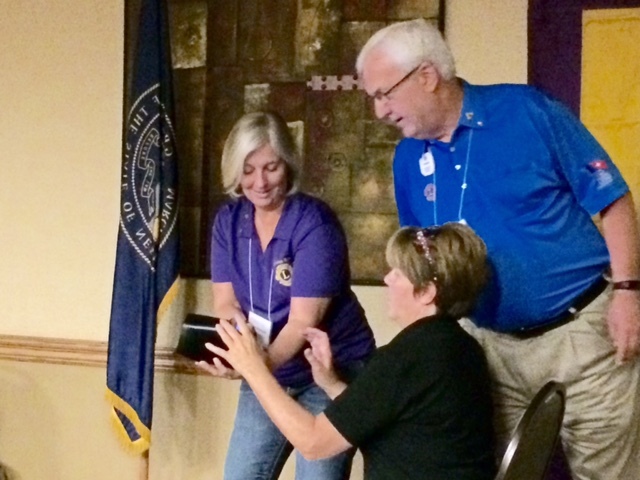 PDG Steve Bennett provides hands-on experience for future vision screeners. 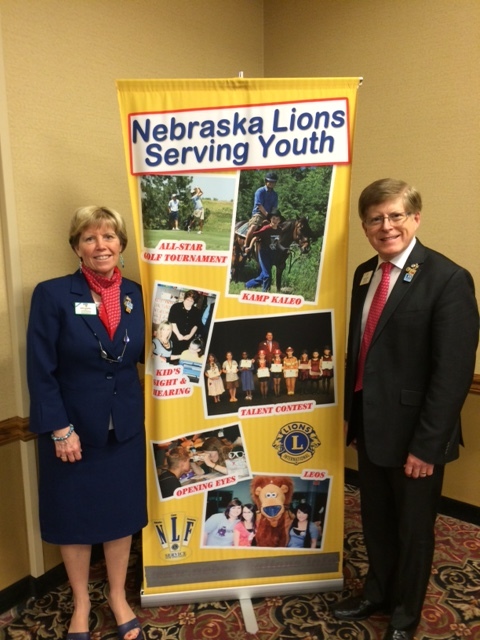 PID Randy and Lion Kathy Heitmann came on Saturday morning to help PDG Randy Ritterbush promote the USA/Canada Forum being held in Omaha, NE next September. It was great to see them and we appreciated their words of encouragement. 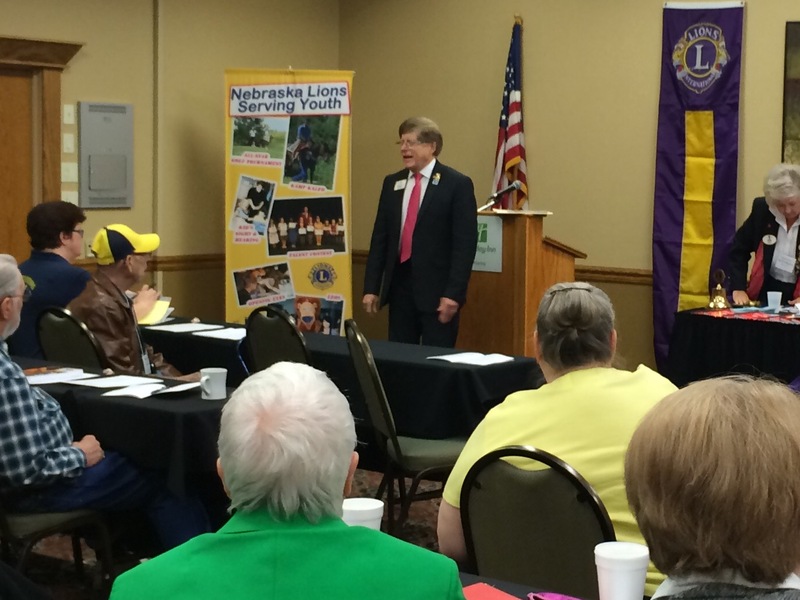 My presentation to the assembly occurred during the luncheon and both Kathy and I shared our passion for the One Shot, One Life Measles Initiative that brought in $1,800 from the Nebraska Lions. 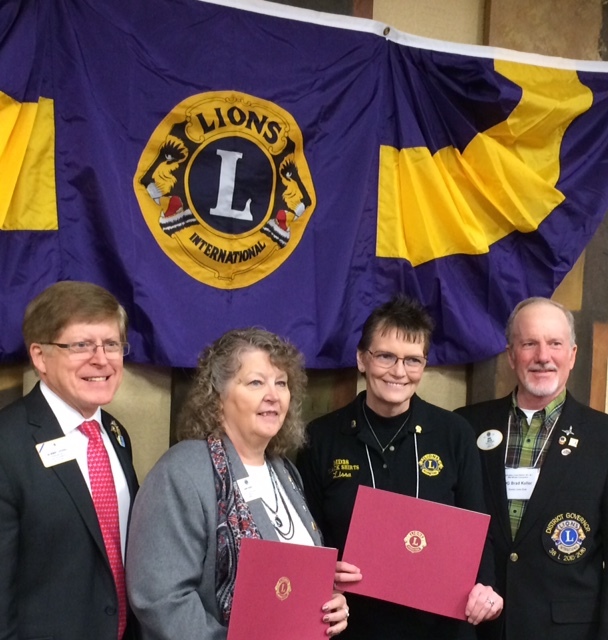 Match that with GAVI Funds and the Nebraska Lions saved over 3,600 children by providing measles vaccinations through the Lions Clubs International Foundation. 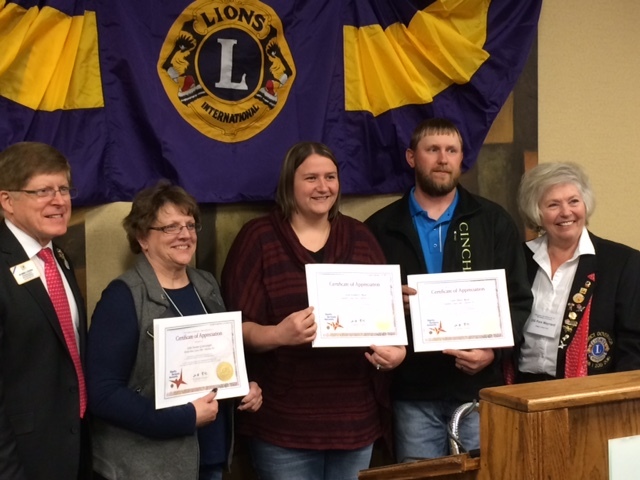 We presented Presidential Certificates of Appreciation in 38-L to PDG Nancy Russell Gordon Lions Club) and Lion Lissa Schroder (Grant Lions Club); and in 38-I to Lion Jeanne Grantzwinger (Broken Bow Lions Club), Lion Delan Reed and Lion Kimberly Reed (Bartlett Lions Club), and Lion JoAnn Devine (Kearney Lions Club). In the afternoon, I participated on a panel focusing on disaster preparedness. My portion of the event focused on risk and crisis communication; while the others described how to form a community organization for disaster preparedness and a program developed to aid children following natural disasters. ID Robert discusses how Lions should prepare for breakdowns in communication during times of natural disaster. Next came the cranes. DG Brad took Lion Kathy and me out to view the thousands of sand hill cranes that were making their annual stop along the Platte River near Kearney. What a sight! 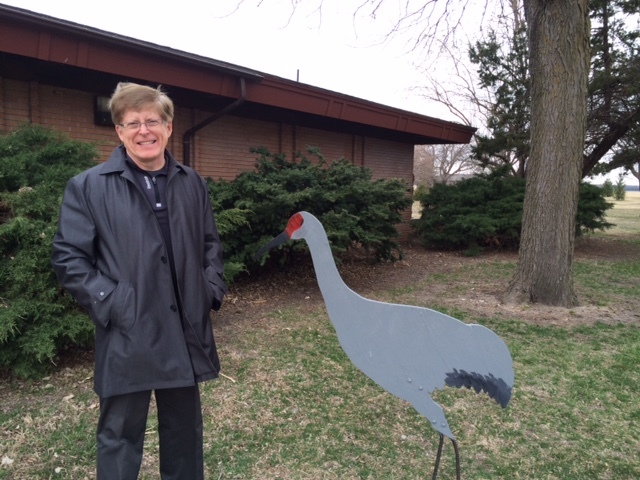 This is as close as ID Robert could get to a sand hill crane! 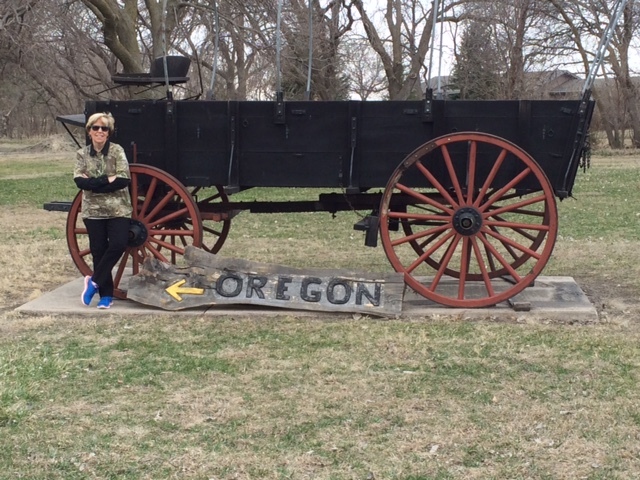 Lion Kathy remembering the Oregon Trail at Sand Hill Crane Observation area. In the evening, we were entertained by Les Johnson of Predator Quest as he shared his coyote calling and predatory hunting experiences. 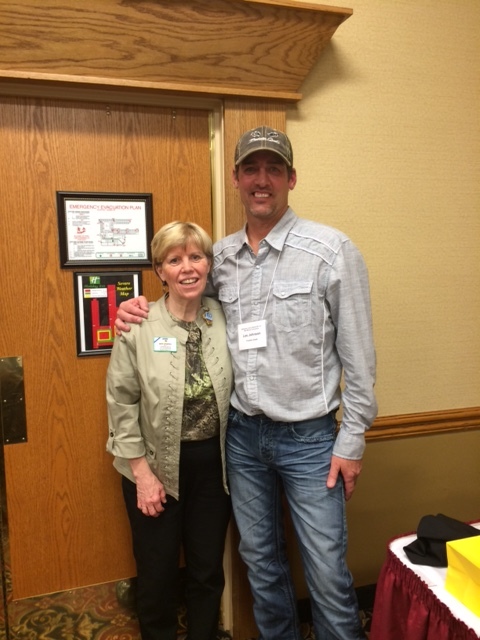 TV personality and predator hunter Johnson with Lion Kathy. The theme for the banquet was “camo” so Lion Kathy and I joined the fun. Look what Kathy found for me online. As we prepared to leave Kearney on Sunday morning, we were reminded of the beauty of the plains and we looked ahead to a weekend in Multiple District 5 with our Council of Governors. The eight visits we made in January, February, and March were all wonderful experiences and they reminded us again and again of the graciousness extended to us by Lions from across the country. 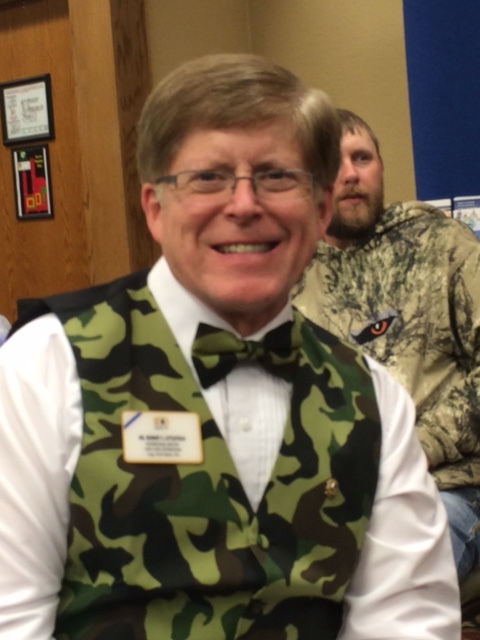 The vest is the best! Happy you had another opportunity to share and to serve.